What was the Saint Augustine Monster? 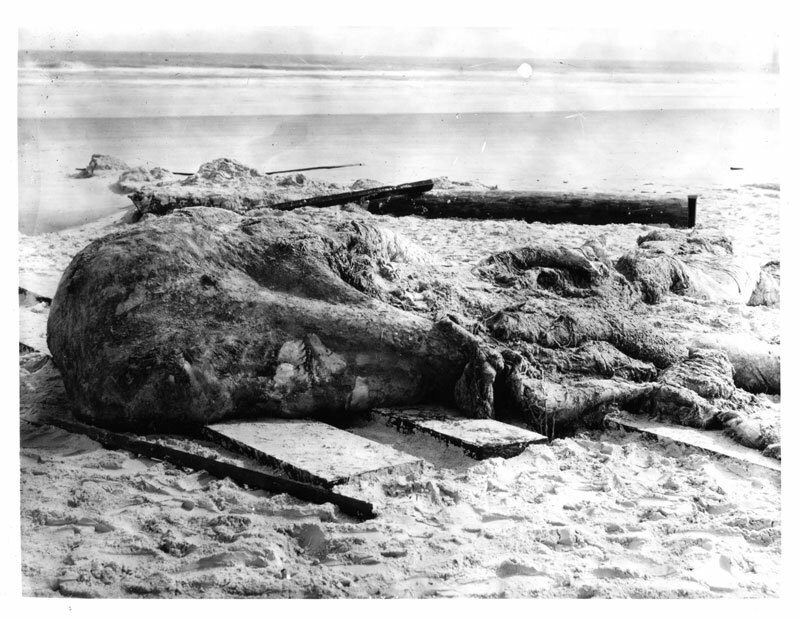 According to Wikipedia, it was a globster—“an unidentified organic mass that washes up on the shoreline of an ocean or other body of water.” This great-grandaddy of globsters kept cryptozoologists speculating and scientists testing for a century—and a piece of it lives at the Smithsonian. The St. Augustine monster was discovered by two young boys on Anastasia Island, Florida in November, 1896. 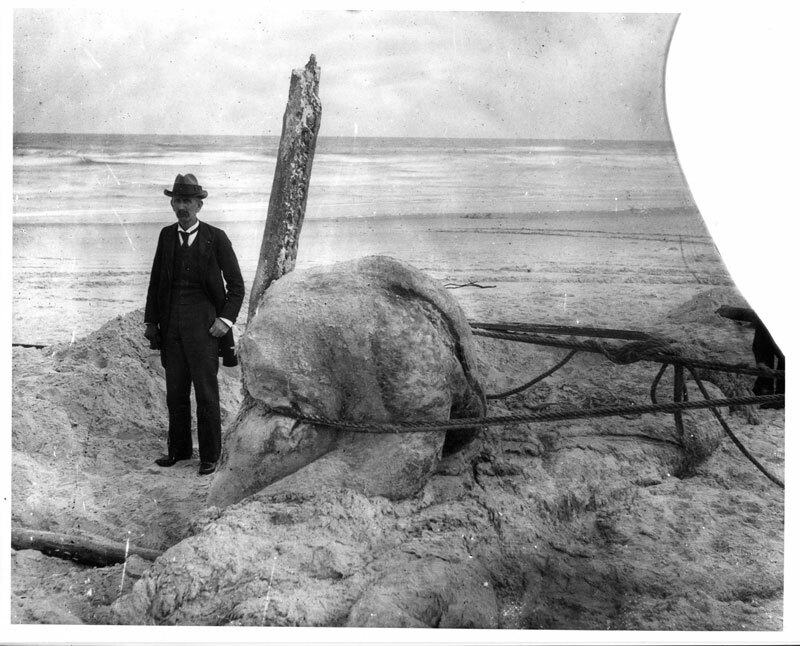 They assumed it was a whale, and reported their find to Dr. De Witt Webb, the founder of the St. Augustine Historical Society and Institute of Science. 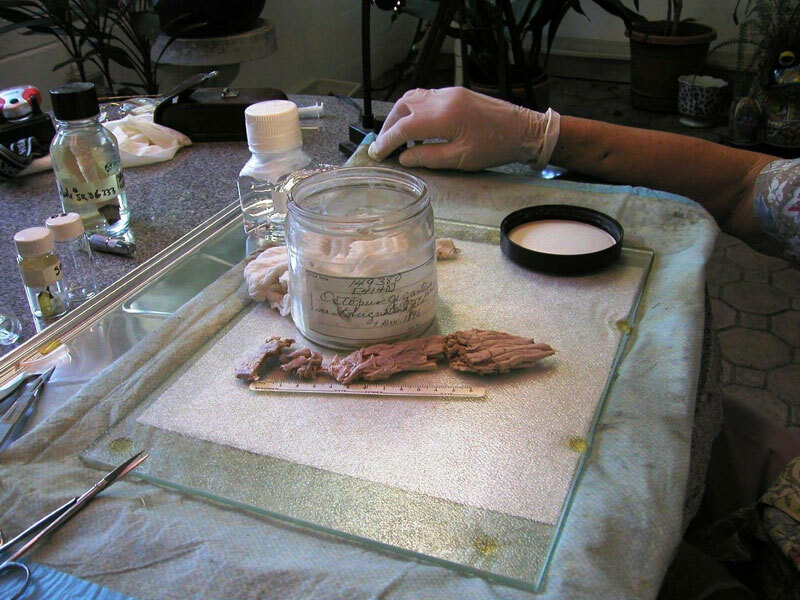 Dr. Webb noted that the enormous carcass appeared to have stumps of several arms or tentacles. He concluded that it was the remains of a gigantic octopus, and contacted Yale’s Professor Addison E. Verrill, who went to press in 1897 declaring the discovery of what he named Octopus giganteus verrill. Webb also sent photos and a specimen to the Smithsonian in 1897. 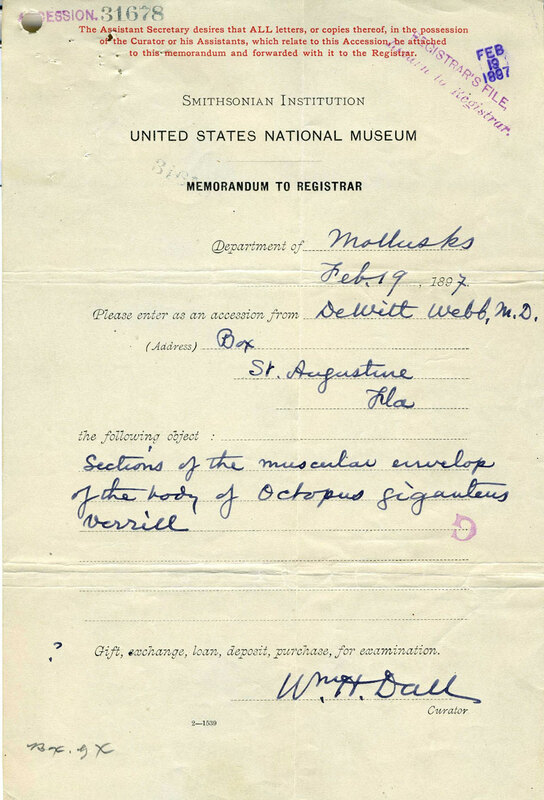 National Museum Curator William Healey Dall accepted the material as Accession 31678: “Sections of the muscle envelop of the body of Octopus giganteus verill”. Dr. Webb’s own words about his discovery are at the Smithsonian Institution Archives in the Correspondence and Memoranda of the Assistant Secretary of the US National Museum, Record Unit 189.